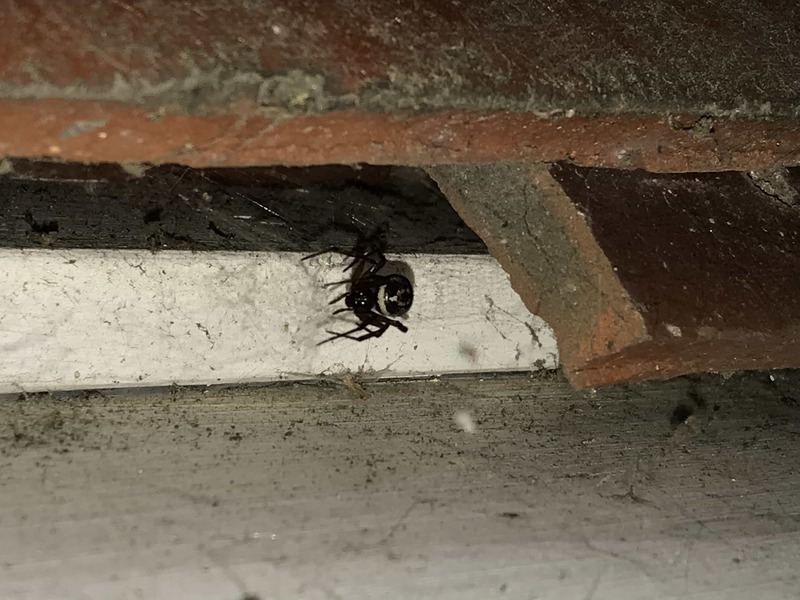 Hi, this looks like Steatoda noblis, a “noble false widow.” the webs near it are “tanglewebs”, pretty messy looking. If you see webs like that in dark quiet places, there might be a widow-type spider. The webs are really sticky and gather a lot of dust and debris.